RUSH: Okay, folks, stop applauding. Stop cheering this! There’s nothing to applaud here. Well, there’s something to applaud, but you should not applaud that Robert Mueller didn’t find anything. That validates Mueller, it validates this investigation, it validates this entire waste of time. Now, it’s gonna end up embarrassing the hell out of ’em, and it’s gonna end up blowing up in their face. But it isn’t gonna stop this nightmare! It isn’t gonna stop this ridiculousness! The Drive-By Media needs to be begging the forgiveness of everybody they have lied to the past two years, but they have no shame. They are simply looking for another road or another avenue now to continue this effort of theirs to destroy the Donald Trump presidency. That’s all that remains, and that’s all that matters. And since Mueller could not give them the goods — and again, this is so important — there never was any collusion. It is a mistake to applaud the finding that there was no collusion because that validates the entire investigation. And this investigation should never have happened. Mueller should never have been appointed because every aspect of this has been a hoax. And, by the way, it’s easy for people to say it now when Mueller comes out and admits that he found no evidence of collusion. I have been trying to drill home to people ever since this began that it was a hoax from day one. And I’m not saying that as a See, I Told You So. I’m saying that to put an exclamation point on the fact that this is the absolute, most severe political scandal that has happened in my lifetime and maybe in the nation’s history. A phony piece of opposition research was used to get a FISA, Foreign Intelligence Surveillance Court warrant to spy on the presidential candidate of an opposing party. A dossier that was fake, it was made up, it was never corroborated, it was never validated, and it was used at one of the highest secret courts in this country to get warrants that were renewed four times to spy on Donald Trump and related members of his campaign and his family. I don’t know how more egregious a travesty of justice you could find than this and then the realization that everybody involved knew it. Andrew McCabe is still out there selling a book based on his personal belief that Trump colluded with Russia. They have destroyed the business that they work in, so-called journalism. They have run for over three years with lie after lie after lie. And they have been fed by Obamaites like James Clapper and Brennan, both of whom were assuring — at one time or another — that the goods were there, that the evidence that Trump had colluded was there. Clapper started vacillating as we got closer to the Mueller release date. James Comey? 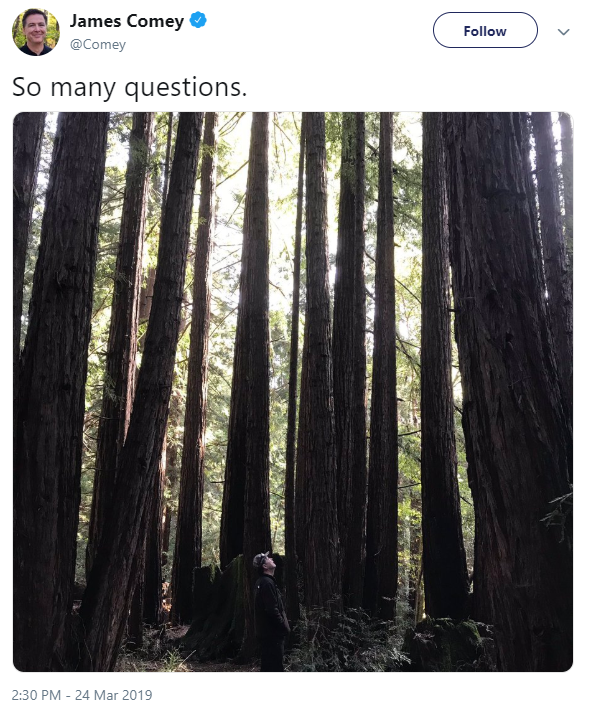 James Comey posts a picture on Twitter of him in a giant redwood forest looking at to the skies saying, “I have so many questions”? Well, so do we, pal! You trudge into Trump Tower in January before Trump’s inaugurated, showing him this stupid, hoax, lied, made-up dossier, and you tell him the golden showers story. You tell him that there are people out to get him and he needs people like you and the CIA to protect him and look out for him. When all Comey was doing was trying to get that dossier in the news before Trump was inaugurated. That clears it to be entered into the news digest as news, and we’re off and running. This has been nothing less than an attempt to overturn the results of the 2016 election. It has been nothing less than an attempt to drive from office a duly elected president. And I’m gonna tell you, you Republicans out there, you Never Trumpers? Ask yourselves which one of you could have withstood one day of what Donald Trump has withstood for two-plus years? Mitt Romney? Ha! There isn’t a single one of you other Republicans who ran for office. Maybe Ted Cruz. I don’t know. If it weren’t for Trump, this would have succeeded! And if this had succeeded, you can say, “Bye-bye, America,” because once the deep state is able to demonstrate to itself that had can overturn presidential elections, then presidential elections don’t matter anymore — and this is exactly what they attempted. They do not deserve any applause for supposedly being honest and finding no evidence. They don’t need to be praised for honesty and integrity. There never was any evidence to begin with! Mueller should never have been appointed. Mueller, if he’s full of integrity like they say, should have never accepted the job. He should never have begun this. 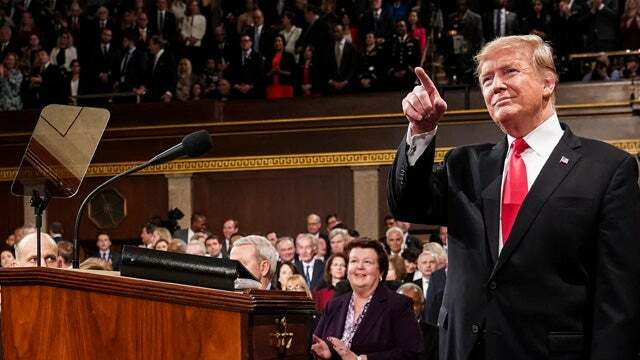 And even at the end of all of this, Mueller leaves a giant highway wide open for the Democrats and the media to head down full speed on “Trump obstructed.” Never mind that there’s nothing to obstruct! Trump did not stop the investigation. He didn’t fire Mueller. He didn’t fire any of Mueller’s people. He didn’t get rid of anybody that had anything to do with this investigation. He didn’t stop it. He called it a “witch hunt,” but it didn’t affect the investigation at all, and Mueller doesn’t even claim that it did. So no collusion. We knew this from before Mueller was appointed. We knew this the minute we found out that Hillary Clinton had bought and paid for the dossier! How could this live for 2-1/2 years when none of it was real? Mueller and his team so desperately wanted to be able to get rid of Trump. They pursued this collusion business from the get-go. They went over to the U.K. They interviewed Steele. They did everything they could to make this work! But the whole thing was made up! There was no way they could have made a case on collusion. There wasn’t any. Before we go to the break, I want to read you some things from the Mueller report — well, at least from the Barr letter, as a summary of the Mueller report. By the way, by the way, let me ask one simple question here: The allegation was what? That the Russians were attempting to interfere in the 2016 presidential election. How the hell did the same bunch that missed weapons of mass destruction miss this? If the Russians were all over this campaign like all these people said, why isn’t there any evidence of it? How could they have missed it? How could they have let this get this far? It didn’t get this far because it was real. They made it up! All of this talk about Russian collusion has been made up. Collusion with Trump has been made up. The Russians are constantly trying to undermine democracy. They have, since before you were born, been trying to undermine democracy. That’s nothing new. It’s not news. Colluding with a presidential campaign is news, but it didn’t happen. The counterintelligence capabilities of this country, the CIA, the DIA, the FBI, the Director of National Intelligence, they were turned against one man and his family. They were turned against one political party. There never was a scintilla. Mueller was even forced to say it: “No American conspired to collude with Russians in the 2016 election.” You might say it’s a good day for America. We’re so damn like a that there wasn’t anything close to it that they couldn’t lie about that too. If they could have lied, if there was just enough… If Trump had gone to Russia and had lunch with somebody and if they could have made a case, then there wouldn’t have been yesterday and the reveal that there was no collusion. They would have manufactured it out of the least, if they could have. It was complete BS to take 2-1/2 years to confirm what we have known from before this began: The dossier is all they’ve ever had, folks, and it was never real. Here’s from Barr’s letter: “The special counsel did not find that any U.S. person or Trump campaign official or associate conspired or knowingly coordinated with Russians despite multiple offers from Russian-affiliated individuals to assist the Trump campaign. “No American — not a single one — took the Russian bait.” Wait just a minute. What Russians? It was the FBI that put informants in the Trump campaign, not the Russians. 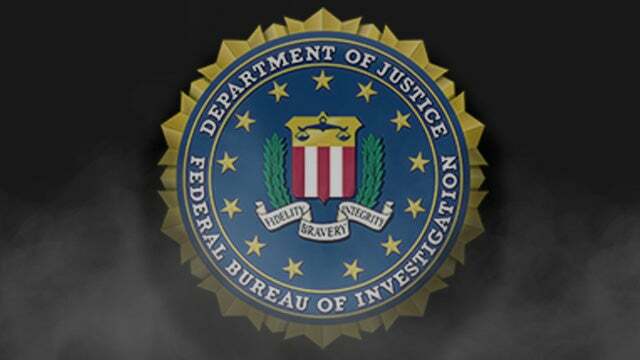 It was the FBI that tried to get Stefan Halper hired on the foreign policy team. It was Rob Rosenstein that wanted to wire up and record Trump! What Russians? This was an FBI leadership operation from the get-go! The Russians tried to infiltrate the Trump campaign but no Trump campaign official would take ’em up on it. Oh, the Trump Tower meeting! Yes, this phony lawyer comes along. That’s all they ever had, and they don’t even have an indictment of Trump Jr. on that. Russians tried to recruit people in the Trump campaign to assist in messing with the election but failed. Really? Russians tried to do this? The Russians did? No, folks, the FBI did! Remember when they were running around telling people they had found evidence the Russians were trying to infiltrate the campaign? Did they tell Trump about it? No. They didn’t warn Trump. Did they warn Hillary? Damn right! They didn’t warn Trump. Why they didn’t warn Trump? Because there weren’t any Russians. This conspiracy has never had any Russians! It’s got the FBI and its informants infiltrating the Trump campaign or trying to. 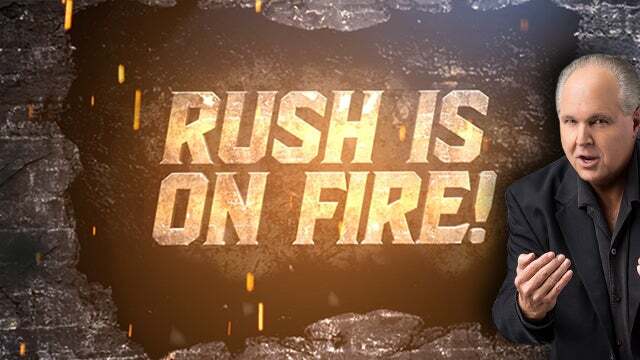 RUSH: No, folks. I’m livid about this. I feel celebratory about the fact that we beat this back, Donald Trump beat this back, but I don’t feel like celebrating that a coup failed! I mean, I do, but I don’t. The idea that the people that ran the coup are gonna exonerate Donald Trump? No way, folks. I’m not applauding that, because they haven’t finished — and I’m gonna tell you what: We’re not through, either. Until Comey and McCabe and Clapper and Brennan and Ohr and all of the others involved in this are held to account, they’re gonna get away with it. McCabe is still out there selling his book and he’s still claiming that to best of his knowledge, there was Russian collusion. Now, the attorney general in his summary “said that the special counsel, which consisted of 19 lawyers, found no evidence ‘that any U.S. person or Trump campaign official or associate’ conspired or ‘knowingly coordinated’ with Russian efforts to use social media platforms to spread disinformation during the 2016 campaign. “Nor did Trump associates conspire with Russians in the efforts to hack Democrats’ emails. ‘Despite multiple offers from Russian-affiliated individuals to assist the Trump campaign, the special counsel did not find that the Trump campaign or anyone associated with it conspired or coordinated,'” blah, blah. What Russians? Do not forget, it was the FBI that had informants who tried to get hired in the foreign policy advisory team of Campaign Trump. Stefan Halper, an Oxford and Cambridge professor — part of MI6 — was one of the informants. There were others. Russians? Give me a break. There you go. Building the highway for the congressional Democrats to follow on the road to the destination call impeachment. Trump obstructed. Mueller can’t confirm whether he did or not! It’s still an open question! And guess who gets to decide it? The attorney general, who happened to be nominated by Trump. So here comes the story that Barr must recuse himself because he’s now too conflicted! That will be the next thing they happen to do because they’re not stopping. They’re gonna overturn this election result. They’re gonna get rid of Trump one way or the other or they’re gonna go out of business trying. By the way, in the American system of justice, nobody gets exonerated. You are either guilty or not guilty of specific crimes charged. If you are not guilty, a prosecutor does not say, “We think the guy did it, but we don’t have any evidence.” That is considered character assassination. It is considered to be the epitome of unfairness in a legal system and a justice system that’s supposed to apply equally to everybody. Robert Mueller has no business suggesting that there may have been obstruction despite the fact he couldn’t find any. He’s gonna leave it up to others. How can you obstruct something that did not happen? There wasn’t no collusion. “Well, that doesn’t mean anything, Rush, because Trump could have thought that they were out to get him even though he knew he didn’t collude and so they were –” If Trump is obstructing an investigation that he knows is bogus, what gives Mueller and everybody in his team the impeccable reputation of cannot make a mistake? Where is it written that they are flawless perfection, that whatever they say, whatever they do is the rule and the law of the land? Robert Mueller, special counsel, is a subordinate of the president of the United States whoever he happens to be because it’s an executive branch which the president runs. So make no mistake. The media feels no shame. The media is not embarrassed. You may have a couple or three of them that are out there lamenting how bad they got this. But do you think they regret following these sources? Do you think they regret reprinting all the lies they were told? No! Because there’s no difference in the journalists and the intelligence people! 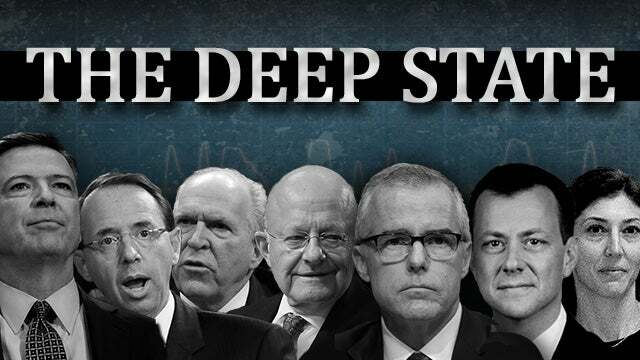 They are all part of the same political organization, the Washington administrative state, which in this case has as its objective getting rid of Donald Trump. Some people call themselves journalists. Others call themselves intel officials. Others call themselves lawyers in the DOJ. Others call themselves lobbyists, but they’re all part of the same organization. The media feels no shame over this! If they feel anything, they’re angry that they failed. They’re angry that none of this was able to be pulled off. Normally they’re able to get rid of Republican opponents on a whim! They’re able to do it whenever they want. They can’t in this case, so they’re just redoubling their efforts now. There is no attempt to convince their audiences that they thought they were doing what’s right. In fact, Little Brian Stelter’s on CNN suggesting that speculation is of immense value in stories like this. And Carl Bernstein is out there saying that this was one of the media’s finest hours, covering this hoax. He didn’t call it a hoax. So this is why I say this isn’t gonna be over until everybody involved in this scandal is held to account, and that’s only gonna happen if Republicans in the Senate actually follow through on what Senator Graham said earlier today that he was going to do. Now, Donna Brazile, newly hired to present the liberal Democrat point of view to the Fox News audience, which I maintain doesn’t need Democrats to present the Democrat point of view. Fox News audience members know liberalism and the Democrat Party far better than Democrats will ever honestly explain what they believe and who they are. But Donna Brazile says (paraphrasing), “No, I’m not prepared to accept this. I want to see the full report.” That’s the new Democrat mantra. “I want to see the full report.” You’re not entitled to see the full report! Nobody is except the attorney general. But the reason that Donna Brazile said she wants to see the whole thing is because of this portion where Mueller admitted that there were all kinds of Russian efforts to use social media platforms to spread disinformation and to conspire with Trump campaign officials to collude with Russia, but no Trump people took the Russians up on it. Donna Brazile says she wants to know, did Trump report this to the FBI? And if Trump didn’t report Russian attempts to collude with his campaign, then he is maybe still covering something up. Do you see how this works? There aren’t any Russians. Give me a name. Give me the names. Don’t cite the troll farms that live in Russia and never have been to the U.S. and therefore never interacted with Trump. There aren’t any Russians here. For the third or fourth time today and for many times in the past two years, it was the FBI that attempted to infiltrate the Trump campaign. And do you know why? The infiltrators were then going to collude with Russia. And that’s how they were going to prove collusion! Do you realize this may have begun before the end of 2015, this idea? I think this idea that the Democrats were confident Hillary was gonna win in a gigantic landslide, I don’t think it’s true. I think they were worried throughout this entire campaign that she was gonna blow it, that Trump might end up winning. That this whole campaign to try to connect Donald Trump to Russians may actually have begun in 2015, one year before the election. And the way the FBI did it, they had Halper and a number of others that they were trying to get hired. I remember the guy in the Trump — I forget his name — that interviewed Halper for a job in the Trump foreign policy advisory committee, and he didn’t get the job, but I’m fully convinced that if the FBI informants were hired, they would have then begun colluding with Russia and they would have miraculously been uncovered and discovered, and there we would have it, Trump campaign collusion with Russia. Wouldn’t even had to have Trump do it. But they couldn’t even get themselves hired by some supposed novice who doesn’t know what he’s doing. The brightest minds in American counterintelligence, the brightest minds in American law enforcement couldn’t convince these dummkopfs in the Trump campaign to hire a couple of ’em. Remember, there was never any collusion. All they ever had was the Steele dossier, which was manufactured out of whole cloth and made up. Not a single allegation or assertion in it is true. So from my standpoint, it’s the Democrats and the media and the American counterintelligence apparatus that have a lot of explaining to do. Look at all the mountains of so-called evidence, all of those leaks, all those lies every day, four times a day — New York Times, Washington Post, CNN — from former and current American intelligence officials. Reporting on this possibility and that possibility. Remember all of the walls are closing in on Donald Trump. The bottom is about to fall out on Donald Trump. Jehmu Greene, a Democrat strategist, was on Fox at 5:45 yesterday afternoon. She said that Vladimir Putin got everything he wanted in disrupting our democracy in the 2016 election. This is after she acknowledged that there wasn’t any collusion and we Democrats, she said, we have to admit here that we were wrong, there was no collusion and da-da-da-da. And then, to cover herself, despite the fact that Trump didn’t collude, despite the fact that Mueller has found no collusion, we still must acknowledge that Putin got everything he wanted in disrupting our democracy in the 2016 elections. Vladimir Putin, if he had any help in destabilizing the United States, it was from America’s media! It was from America’s Democrat Party! And it was from the Obama administration counterintelligence apparatus! Vladimir Putin did not succeed disrupting this country via Donald Trump. He did it in collusion with Hillary Clinton, the Democrat National Committee, the American counterintelligence apparatus, and the American mainstream media! Putin could not have done any of this alone, and he didn’t! The United States has been through hell for two years! The American people have been subjected to some of the biggest lies in the biggest hoax that has ever been perpetrated on the American people, and it continues to this day, despite the fact that people think Trump has been exonerated. The American people, remember that number I gave you, 42% of the American people in a poll about six months ago said that they believe the Russians tampered with votes? That they believe the Russians affected the outcome of elections? That’s how successful this hoax was! That’s what two-plus years of Trump-Russia collusion has come to mean apparently to 42% of the American people. That is a scary number! Vladimir Putin may be celebrating, but his good friends don’t live in the Donald Trump campaign. His good friends live in the Democrat Party, the American counterintelligence administration, agency and the American Drive-By Media. 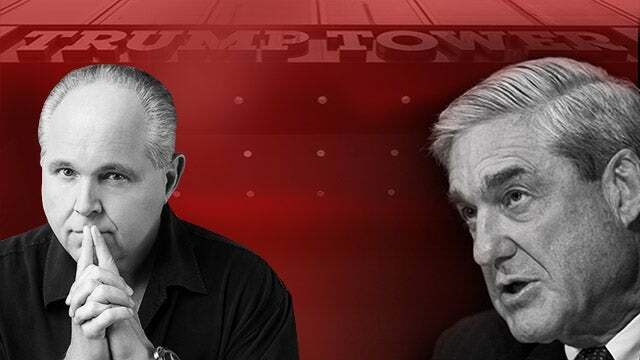 RUSH: Ladies and gentlemen, the American mainstream media, the United States counterintelligence apparatus, American law enforcement, leadership of the FBI, and a number of very high-ranking Obama administration officials, have undermine faith in our elections and in our institutions. I’m trying to put myself in the place of what is called the average American. Let’s say the average American is somebody who doesn’t pay attention to news 24/7 like you and I do — or like I do. The average American has a very busy life and catches news in snippets, but we’re gonna assume that the average American is relatively news aware. In this case, this person could not have missed — could not have missed — the last 2-1/2 (maybe, if you want to go back to the campaign, three) years. “Donald Trump cheated. Donald Trump’s a traitor! Donald Trump helped the Russians steal an election.” This conveys that election can be stolen. This conveys that Russians can determine who wins presidential elections. For two years, you have been led to believe this is a fait accompli. It’s just a matter of time passing ’til we get to the point where it’s proven. Yet Saturday or Sunday you find out it didn’t happen. What is your reaction? I’m trying to imagine. I’m trying to imagine what the, quote-unquote, “average American” now thinks. Because I’ll tell you, in these past two years, the average American has been led to believe that presidential elections are not up and up. That when Democrats don’t win, there has been cheating, there has been collusion with Russians. How do they…? How does the average American just say, “Oh, it didn’t happen? Okay, cool.” Not after two years of absorption, daily absorption about how corrupted your election system is. You can’t just forget it. The damage these people have done deserves them paying a price they would never imagine having to pay with their careers. 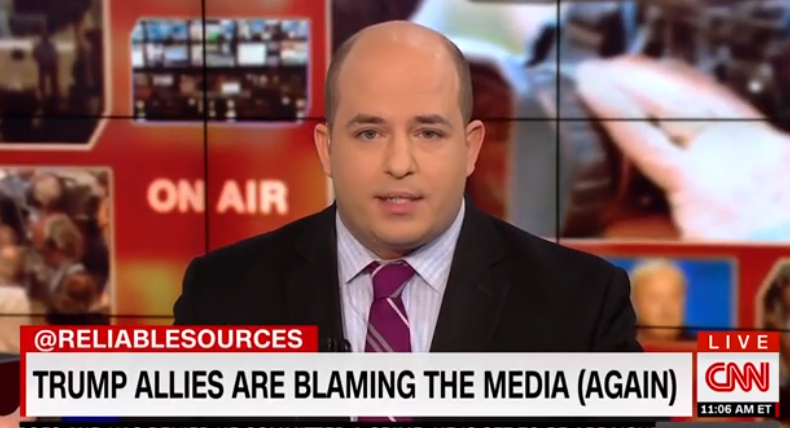 RealClearPolitics: CNN's Brian Stelter on Mueller Coverage: "The Press Is Just Following A Trail That Trump Created"